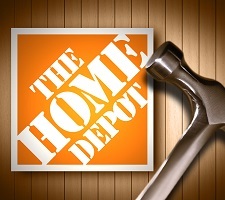 Home Depot has seen the popularity and capabilities of its mobile visual search function increase rapidly since its launch 18 months ago, prompting the retailer to place the function front and center in its highly popular mobile app. When the retailer initially launched its visual search function, powered by Slyce, the technology was not readily available throughout the mobile app. In its beta test form, customers needed to know where the solution was housed, typically a few clicks deep in the mobile interface, in order to do a photo-based search. Today, regardless of where shoppers are within the mobile application, visual search is never more than a click away. All the user has to do is tap the search icon in the upper right corner of the screen and select the camera and they are ready to conduct a search. The consumer simply snaps a picture of a product they are interested in and the solution instantly searches Home Depot’s extensive product catalog for that exact product and/or similar products. Typically, shoppers use the visual search function in one of two ways: to locate a product they are interested in, or to find complementary items to a product.